I just finished a new drawing. 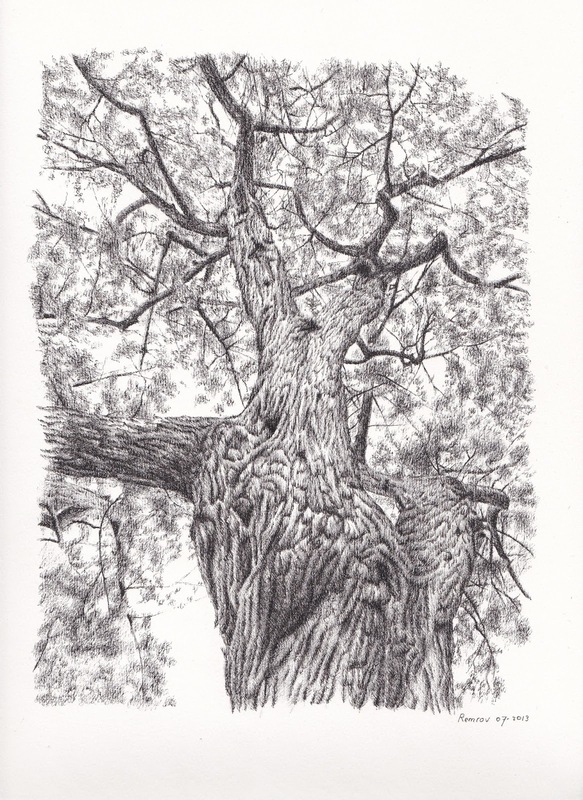 A pen drawing of a tree. I took some pictures first of a beautiful tree here in NDG park in Montreal, Canada, and I'm going to make a pendrawing of many of those pictures. So, this is my first, and it's also for sale.